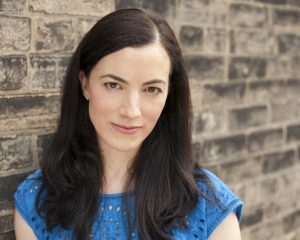 Beth Graham is a playwright and actor. Her plays and collaborations have been produced across Canada and, internationally, in the U.S., the UK, Australia and New Zealand. 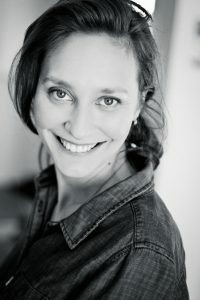 She has been a finalist for the Governor General’s Award (The Gravitational Pull of Bernice Trimble) and for the Carol Bolt Award (The Drowning Girls). 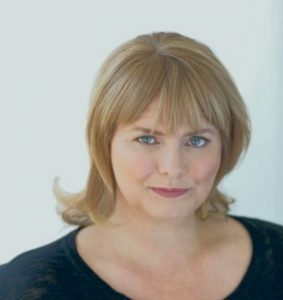 Beth has received the Gwen Pharis Ringwood Award, Sterling awards, Betty Mitchell awards and the Alberta Playwrights’ Network Award for her plays and collaborations. She has been an artist-in-residence with Workshop West Playwrights’ Theatre and Catalyst Theatre. Beth has attended retreats at the Banff Playwrights’ Lab, The National Theatre School and The Stratford Festival of Canada. Her own plays include: The Gravitational Pull of Bernice Trimble, A Life in the Day, Pretty Goblins and Working It Out. Her co-creations/ collaborations include: The Drowning Girls (with Daniela Vlaskalic and Charlie Tomlinson), The Vanishing Point (with Daniela Vlaskalic), Fortune Falls (with Jonathan Christenson), Mules (with Daniela Vlaskalic) and Victor and Victoria’s Terrifying Tale of Terrible Things (with Nathan Cuckow). She is a graduate of the University of Alberta’s BFA acting program. Tessa Stamp is an Edmonton-born theatre professional, entrepreneur, and found object artist. A dancer first, Tessa has made her career in technical theatre. She travelled the world as a pirate, ran away with the circus, and eventually landed back in Edmonton. Tessa enjoys set, lighting, and costume design, and stage management. Recent credits include Lake of the Strangers (Naheyawin – Set Design and Production Management), What a Young Wife Ought to Know, (Theatre Network – Set and Costume Design), Métis Mutt, (One Little Indian Productions – Set and Lighting Design and Stage Management), Snow Queen (Azimuth Theatre – Set, Lighting and Costume Design), Infinity (Theatre Network – Costume Design and Props), Constellations (Shadow Theatre – Set and Lighting Design), The Preacher, The Princess, and a Crow (Azimuth Theatre – Set Design), The Supine Cobbler (The Maggie Tree – Set and Costume Design). Stratford Festival, The Citadel Theatre, Western Canada Theatre, The Vancouver Arts Club, Workshop West Playwrights’ Theatre, Akpik Theatre, Mayfield Theatre, L’Unithéâtre, The Green Fools, Mile Zero Dance, Kill Your Television, The Maggie Tree, Alberta Opera, and many other independent companies and festivals. She is excited and grateful to be joining this team of multi-talented artists in bringing the fanciful Slight of Mind to life. 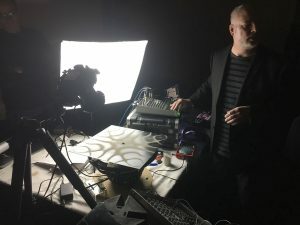 Gary James Joynes, also known as Clinker, is an award-winning sound and visual artist and composer who has been active in the international live audio-visual and experimental music performance community for many years. He blends the beauty and physicality of sounds, auditory and visual elements in Live Cinema AV performances, and in rigorous and emotional photo and video installation works. The most recent chapter in Joynes’ audio-visual catalog presented a new large-scale solo installation work entitled Broken Sound in May of 2015. Broken Sound was awarded the 2016 Eldon & Ann Foote Edmonton Visual Arts prize for best solo art show of 2015. His previous solo show entitled Topographic Sound in early 2013 showed his critically acclaimed work Ouroboros, which had its large-scale premiere as a featured work in City Hall at the inaugural Nuit Blanche Edmonton Festival in September 2015. He has been commissioned by Brian Webb Dance Company for original sound and musical score for 2019. Gary was recently awarded an AFA grant to help fund the production of his new large-scale visual-sound installation entitled The Crepuscular Sound Ray Reflecting Pool ((( Sonic Suns, Sonar Winds, Wings & Sound Beams ))) which will premiere in the fall of 2019. 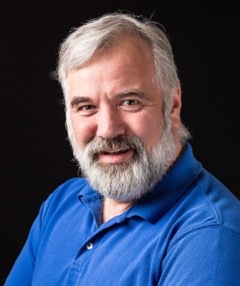 Brian has been resident designer with Theatre Yes for over 20 years, designing such productions as My Name is Rachel Corrie (Sterling nominated for Set Design), The List (Sterling nominated for Set Design), Race, Mercy Seat, Fire in the Stable, Getaway, The Enchantment, and most recently, VISCOSITY. He is a multiple Elizabeth Sterling Haynes Award nominee for his Set and Costume designs. In 2006, he received his first Sterling for Outstanding Costume Design for Shadow Theatre’s Production of 10 X 2: The Eternal Courtship. Brian’s design work has been seen on stage all across Alberta with Shadow Theatre, Theatre Network, Alberta Opera, Players De Novo, Red Deer College, Festival Players, Grande Prairie Live Theatre, Opera Nuova, Teatro la Quindicina, MacEwan University, The Mayfield Dinner Theatre along with numerous Fringe Productions. 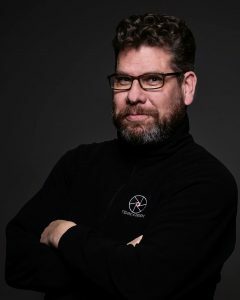 Brian has also been resident costume Designer for Victoria School of the Arts (20 years) and Players de Novo (9 Years). Of his favourite productions he has designed include: Glorious, Spring Awakening, Colour of Flesh, Into the Woods, Little Shop of Horrors, The Weir, Xanadu, Treasure Island, Thoroughly Modern Millie, A Little Night Music, As You Like It, White Christmas, Macbeth, Crazy for You, Twelfth Night, Cinderella (Sterling Nominated for Costume design), Singing in the Rain, Beauty and the Beast, Mary Poppins, and My Fair Lady. 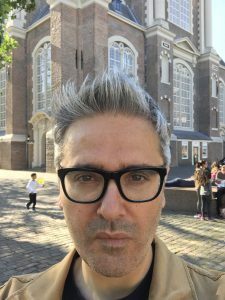 Stefano is a dramaturg, translator and theatre historian, who has practiced in Italy, England, the United States, and Canada. North American Dramaturgical Credits include: Frida y su Reflejo/Frida Through the Looking Glass by Marina Mair-Sanchez (Nina Haggerty Centre for the Arts), Sapientia by Roswitha (Canoe Theatre Festival), Boundless Border (University of Alberta), staged reading of Carlos Morton’s Frontera sin fin, Blood Wedding (University of Alberta’s Studio Theatre), The Toxic Bus Incident (Theatre Yes), The Mill on the Floss (Citadel Theatre), Yerma (Quantum Theatre Pittsburgh), Angels in America: Millennium Approaches (Pittsburgh Repertory Theatre), Cymbeline (Pittsburgh Repertory Theatre), The American Clock (Pittsburgh Repertory Theatre). Recent staged translations include Sforza Pallavicino’s Ermenegild: A Jesuit Tragedy, Xavier Villaurrutia’s The Absent One, and Osvaldo Dragún’s A Toothache, a Plague, and a Dog. Stefano is assistant professor of intercultural theatre in the Department of Drama at the University of Alberta. He has published academic articles on Latin American theatre, religion and drama, and translation. 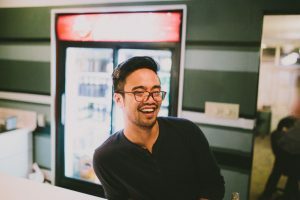 Chris dela Cruz is a long-time technician and facilitator of all things. He is tremendously excited to be back with Theatre Yes, helping create another fantastic-out-of-the-box theatre experience. His past work was with L’ UniThéâtre, Theatre Network, Edmonton Fringe Theatre Festival, and other companies and festivals around Edmonton. Chris also helped found and teaches at a youth theatre camp on Alberta Avenue called Spark! Youth Camp. Jason is an Edmonton based actor, improviser, and choreographer. He was last scene on stage in Western Canada Theatre’s production of Elf: The Musical. Some favourite credits include Don’t Frown at the Gown, Puck Bunnies (Guys in Disguise), Dennis in All Shook Up (Mayfield), Cinderella: A Pantomime (Capitol Theatre Fort Edmonton); Hairspray, Chicago, Dirty Rotten Scoundrels (Mayfield Theatre); Chicago, All Shook Up, Sweet Charity (Stage West Calgary); Mary Poppins (Globe Theatre); Women on the Verge of a Nervous Breakdown, Ah, Romance!, A New Brain, Drat The Cat, Little Fish (Plain Jane Theatre Company). 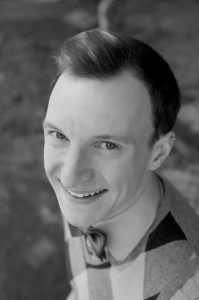 He has recently choreographed The Drowsy Chaperone, Big Fish (MacEwan), H.M.S. Pinafore (Edmonton Opera), What Gives? (Teatro La Quindicina), A New Brain, Drat The Cat (Plain Jane Theatre) as well as choreographing musicals and showcase pieces for Leduc Composite High School and Eastglen School. Bevin Dooley is a Sterling Award-nominated Edmonton-based playwright and dramaturg. She holds both a Bachelor of Arts in Drama from the University of Alberta and a Master of Fine Arts in Playwriting from The Lir National Academy of Dramatic Art/Trinity College Dublin. She is the author of The Drowned (Peep Show! 2018), Slack Tide (nominated for Outstanding Fringe New Work at the 2018 Elizabeth Sterling Haynes Awards) and Deadstock (2016 Alberta Playwriting Competition’s Novitiate Prize). 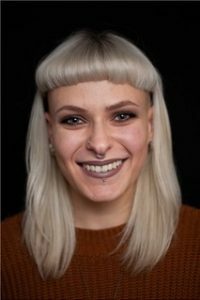 Her work has been presented at the SkirtsAfire Festival, the Edmonton Fringe Theatre Festival, the Serca Festival of Irish Theatre, Script Salon, and the Tiger Dublin Fringe Theatre Festival. 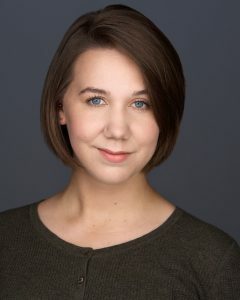 Bevin is a past member of the RBC Emerging Artists Mentorship Program at Alberta Playwrights’ Network and of the Citadel Theatre Playwrights’ Forum, and currently one of the Playwrights-In-Development at Workshop West Playwrights’ Theatre. In addition to her work as a playwright, Bevin also works as a dramaturg, and has assisted in the development of new plays through the University of Alberta’s New Works Festival, Alberta Playwrights’ Network, and Alberta Opera Touring Association. She is thrilled to be working with Theatre Yes and hopes you enjoy the flight. Emily Randall is a freelance artist. Primarily focused on scenic painting, they also work within various artist collectives taking on festival stage management, production management, and design assistant roles. 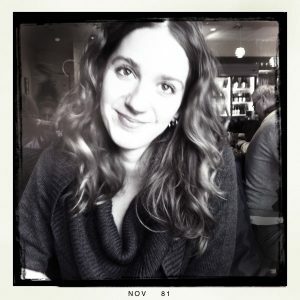 Em’s highlights and most recent credits include La Traviata (Edmonton Opera as Head Assistant Scenic Painter), Blood of our Soil (Pyretic Production as Design Associate & Head Scenic Painter), Lake of the Strangers (Naheyawin Productions as Scenic Artist) and Five Artists One Love (Stage Manager and Assistant Designer). Megan Verbeek is a recent graduate of the University of Alberta, thrilled to be working under the tutelage of Heather Inglis. As an emerging director and physical theatre performer, her work has been seen at the Edmonton International Fringe Festival (The Anger in Ernest and Ernestine; Director), Play The Fool Festival (Two Sleepy People, The Closet of Olfactory Sorrow and Great Fanny Anguish, Flashdance; Performer), and is currently in development for a bouffon show called The Revival (Michael Kennard, Director). She would like to thank Heather, Beth, and the rest of the Slight of Mind team for their bravery and ambition. Enjoy the show! Sarah is currently working as a freelance theatre designer based in Edmonton. She is a recent graduate from the University of Alberta with a Bachelor of Fine Arts in Theatre Design and has a Diploma of Fine Art from Grant MacEwan. Sarah believes that theatre is a great and powerful force. She strives to create a space that works with the performance and performers and transports the audience into a new world and hopefully a change in thinking. She enjoys working with creative minds and collaborative souls. 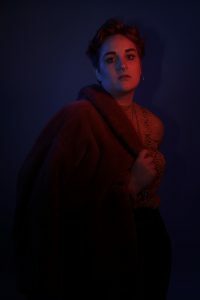 She also enjoys the challenge brought on by found spaces and non-traditional theatre, and wants to continue to sculpt and push the boundaries of theatre and performance. Recent credits include: Once Upon A Frost (Festival Place), Macbeth (Malachite Theatre), Shakespeare’s Will (Thou Art Here Theatre), Three Mysterious Women (Stagelab), All Proceeds Go To: (Fringe Festival), Last Chance Leduc (Snowflake Productions, Set Design), Cleave (Tiny Bear Jaws), All Fall Down (University of Alberta) and Twelfth Night (Malachite Theatre). Theatre Yes engages, under the terms of the Independent Theatre Agreement, professional Artists who are members of Canadian Actors’ Equity Association.